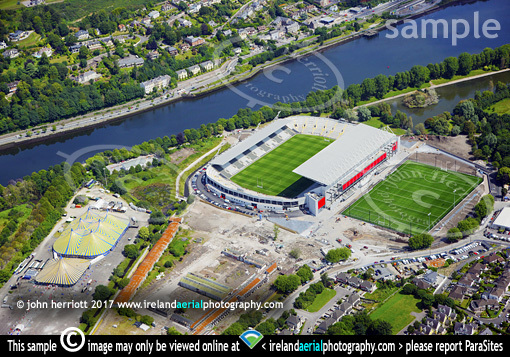 Pairc Ui Chaoimh aerial photo in July 2017 nears completion. Also 'The Marquee'. The all weather pitch beside the main development appears finished. Also included here is the Marquee.